As I said last time, I think wsjtx is the best program for amateur radio. 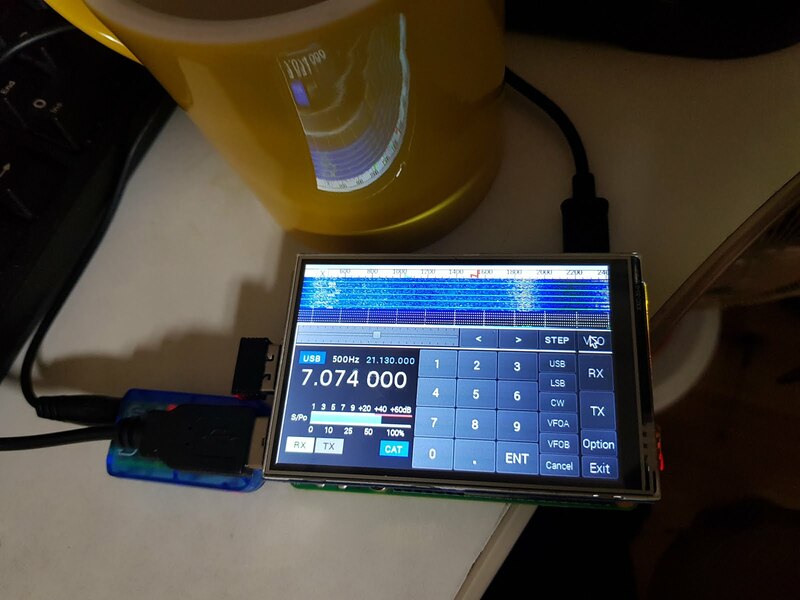 It was the motivation of the project to make it possible to put it in a pocket using RPI. I needed a name for it. 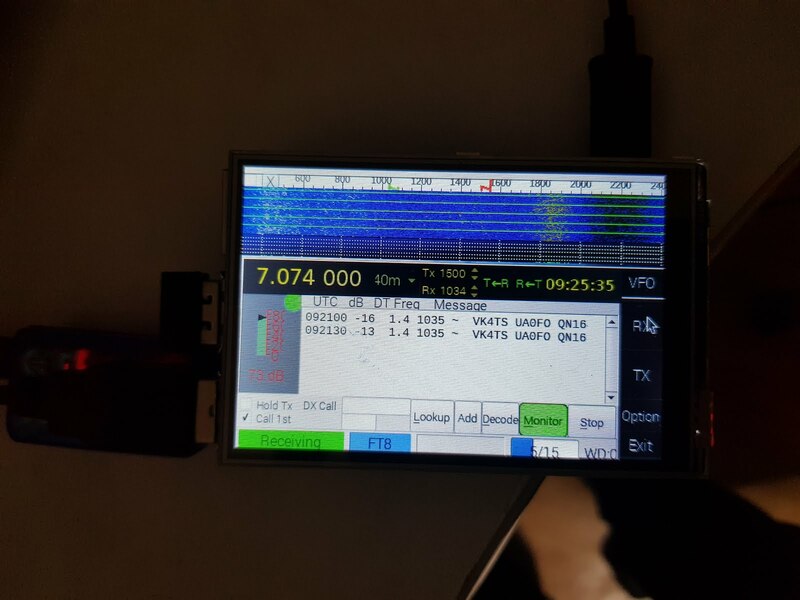 Pocket WSJTX?, WSJTX Portable?, WSJTX Nano, little WSJTX? 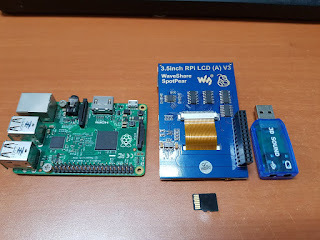 I collected the remaining raspberry pi that I used in my project. decided to recycle unused RPI. raspberry pi 2 and raspberry pi 3 are available. LCD Selects 3.5" Waveshare, Because the size matches the raspberry pi. The resolution of the LCD is 480 * 320. It is too small to display wstjx. Sound card : 1$ sound card purchased from the internet. SD-Card : 8GB, If you want to compile the source, you have to use 32GB. At the end of the series, you will be able to download 8GB Raspberry pi Image. If you want to have fun before then download the source by clicking on the link below and compile it. The source will continue to change until the final series is completed. The source compilation method can be found on the Internet. If you want to read this article and build a compilation environment, I will post it separately. Note that you must create and work with the swap file. If you compile without running the command below, the raspberry pi will crash. I did not want to delete the code of the cool program as much as possible. As you can see from the source, I changed the behavior mainly by adding codes. Compile in raspberry pie requires a lot of patience. So I installed qt creater on Windows and tested it by implementing it in Windows first. After that, I moved to Raspberry Pi and tested it if it was perfect. After modifying a little more, I will upload the image of Raspberry pi below. I am looking for a way to share about 8Gb of capacity. In previous projects, i changed raspberry pi to read only file system. Logging will be difficult, but stability will be increased like an embeded system. I would like to try size 640 * 480. It is Video output size such as PAL or NTSC. Raspberry pi supports Video out. Read only file system + Video out + WSJTX Portable = I want to connect to the car dashboard. It's just a plan. I just hope there will not be more fun. 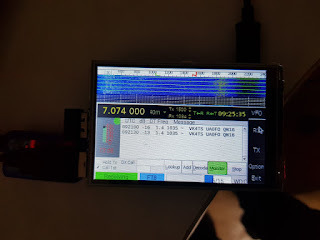 I sent WSPR from uBITX using CW Pitch control. Isolation between a radio and a computer has always been a problem. Digital is available at a small price, but the sound is pretty hard. If isolation is needed, most of the time it was a problem when sending. And the transceiver uses tone data to generate the pitch. So do not need analog output from computer. At the time of transmission, mic input will be completely isolated by disconnecting using relay. Very impressive. I am just finishing my ubitx and saw your article. 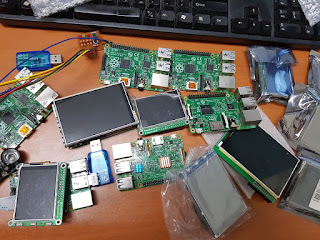 I would like to try building the raspi pi . I have a pi 3 but was wondering which lcd displays would plug in/ work? Is there a pre made image available for download? First, I'm looking for a place to share 8Gb files, and I will release the image file after I've improved some of the issues that might be causing it to run automatically. LCD driver installation is very simply, and available toggle between HDMI and LCD by 1 command. Raspberry pi work has been delayed in the past few days if uBITX firmware is finalized. I started working again yesterday. And now we are ready to deploy for testing. Could you provide disk space for your deployment? Excellent, I hope you like devices like Wsjtx-Portable. don't worry! You did not see what I posted next. The compression was successful. It was compressed to 1.7Gb and linked. Of course i have not only shared Wsjtx-Portable Image, but also released executables and scripts for those who want to install themselves, just like you. Executable and script compression is less than 5Mb. Of course we also shared the Wsjtx-Portable source. The source size is about 20Mb. Wsjtx-Portable sources will probably be released via github. Hi Ian, thanks for some excellent hacking. I am currently setting up to compile your code, and modify it slightly for a 5" screen as the 3.5" is a bit small for my eyes. I have set up a minimal Openbox UI that I will be using to run in with the current size less than 2GB installed. Once I have everything up and running I'm happy to share my setup. I just sent a comment but it did not appear hopefully this is not a dupe.